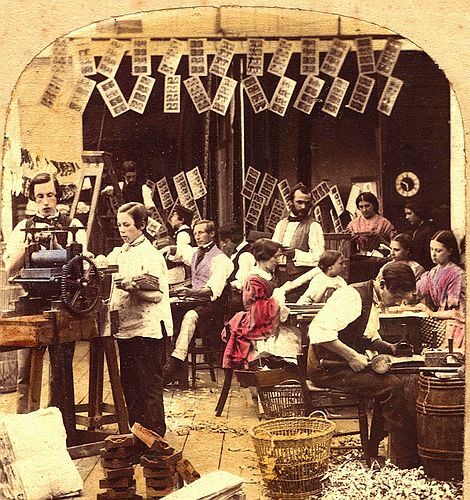 Emanuele Bennici (Facebook, Luminous-Lint page, 21 June 2016) wrote: "It's an 1860 photograph of atelier Alexis Gaudin et Frères, rue de la perle, 9 Paris. The man standing who oversees the work is precisely Alexis Gaudin. The photo is part of a set of four stereocards of the same subject."